Join Perkiomen Tours at the American Music Theatre in Lancaster, PA for the Fall Doo Wop that will take you down memory lane to those times of poodle skirts, saddle shoes and bobby socks! If you love Doo Wop like it used to be, you won't want to miss the extravaganza of stars scheduled to appear at American Music Theatre. Join Perkiomen Tours as we experience the pure vocal harmonies of the latest line-up which will have you singing along and reminiscing to some of your favorite tunes. Continuing AMT’s long tradition of outstanding Doo Wop shows, the pure vocal harmonies of their latest line-up will have you singing along and reminiscing to some of your favorite tunes. 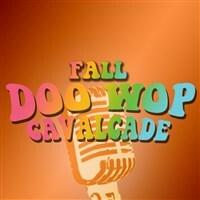 The pure vocal harmonies of the Fall Doo Wop Cavalcade performers will have you singing along and reminiscing to some of your favorite tunes. Joins us as we welcome these great Doo Wop artists to our state: Jay & The Americans, Dennis Tufano, the voice of The Buckinghams, The Crystals, The Classics, Joey Dee, and Johnnie Farina *Line-up schedule to change without notice.